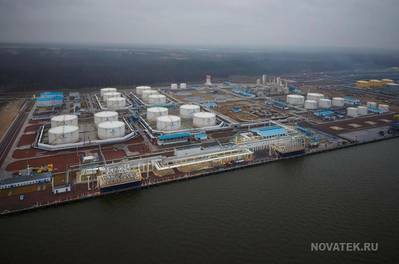 Russia’s natural gas producer Novatek has signed an agreement of intent on implementing a project for the construction of a marine liquefied natural gas (LNG) transshipment complex in the territory of Kamchatka. PAO Novatek, the Ministry of the Russian Federation for the Development of the Far East and the Government of the Kamchatka Territory signed an agreement of intent on implementing a project for the construction of a marine LNG transshipment complex in the territory of Kamchatka. The Agreement provides for Novatek’s investment in the amount of approximately RR 70 billion. The Ministry of the Russian Federation for the Development of the Far East with the Government of the Kamchatka Territory supports the project and intends to render assistance in its implementation. “The construction of the Kamchatka transshipment complex will increase the efficiency of LNG deliveries from the Arctic zone by optimizing transport logistics.” noted Leonid Mikhelson, Novatek’s Chairman of the Management Board.